Jacquelyn D. Smith is an associate at Gray, Rust, St. Amand, Moffett & Brieske LLP. Her practice focuses on wrongful death, personal injury, premises liability, products liability and insurance defense litigation matters. 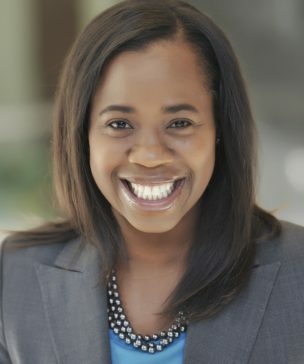 Prior to joining Gray Rust, Jacquelyn was an attorney for a leading communications, media and automotive services company handling commercial, media law and intellectual property disputes and litigation matters. She was also an associate for an Am Law100 law firm where her practice included commercial, securities, antitrust, bankruptcy, estate, criminal, employment, family, insurance and reinsurance litigation. Jacquelyn received her Juris Doctor from New York University School of Law, where she was elected to the Moot Court Board.She received her undergraduate degree from Cornell University, where she was on the Dean’s List and received Academic Excellence Awards. Jacquelyn is admitted to the state bars of Georgia, New York and New Jersey. She is also admitted to the Georgia Supreme Court and the United States District Courts for the Northern District of Georgia and for the Southern and Eastern Districts of New York. In her spare time, Jacquelyn enjoys contemporary dance, softball and spending time with her husband and two children.